Today I want to share something special with you. After the announcement of the global availability of IaaS on Windows Azure this week the next one will be even more exciting. 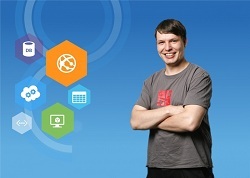 It starts with the Windows Azure Conf on April 23 followed by the Global Windows Azure Bootcamp on April 27. But what’s so special about these events? They are all community-driven and for free! Event #2, the Global Windows Azure Bootcamp, is an event which will take place at around 100 locations worldwide. “But I have no location next to me?” That’s no problem! Most of the locations will stream their sessions so you can follow them online. Excited? Than register now for both events! It’s a pleasure to be part of this energetic community! This entry was posted in English and tagged Event, Windows Azure on April 18, 2013 by Jan Hentschel.